This month, the presenter at our next meeting is legend in North Georgia. There are rumors that he may have gills and actually swims into those deep holes to find those giant trout. It is none other than Jake Darling of Unicoi Outfitters. 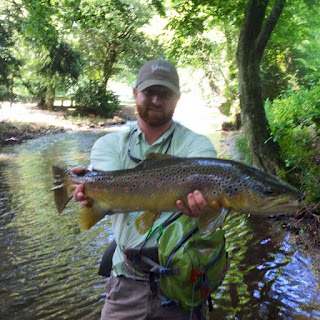 From mastering the wary trout of Dukes Creek to absolutely owning the shoal bass in the Chattahoochee River, there isn't much that Jake can't do with a fly rod. Jake will sit down with us and give us some instruction on fly tying along with some of his techniques when fishing in North Georgia and beyond. Join us this Thursday, we look forward to seeing you there.